The Unveiling Of My New Haircolor(s)! Over the past two weeks or so my hair’s color has constantly been changing and evolving. I now believe it has finally settled on it’s new color(s). 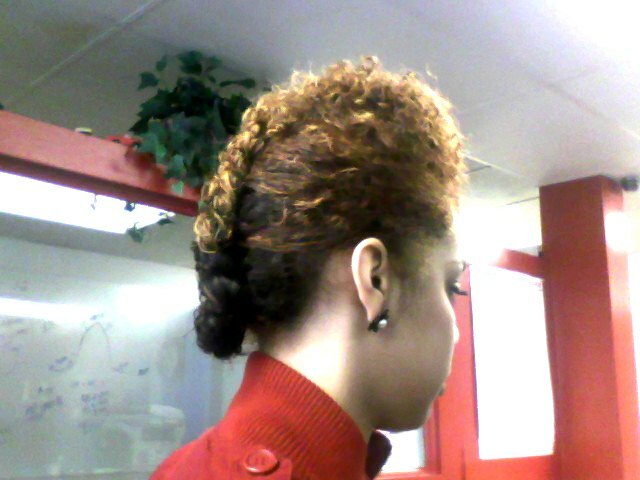 I tried a simple frenchbraid with a high Janelle Monae-esque pompadour in the front. This braid profiles all three colors…the orangeish-red, the blonde ends and finally, the dark-brown in the back. It also shows off my length! Now that I’ve decided to quit straightening my hair, I rarely get to see my hair stretched out. Here is a side-view of my same style. 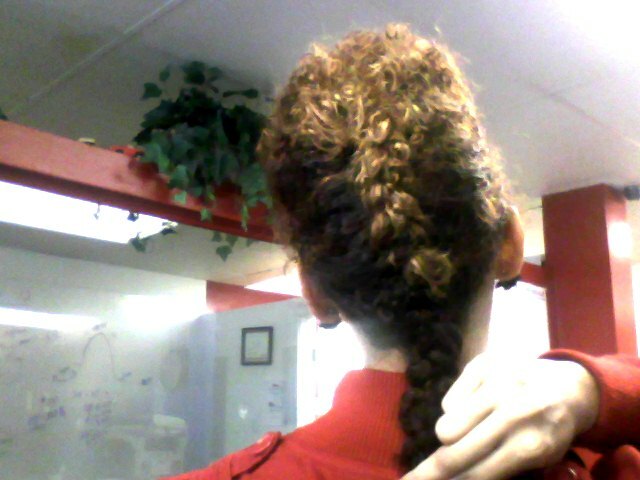 Because the end of the french braid kept trying to curl up on itself, it was easier for me to tuck it in. As my hair gets longer, the added weight of my hair will make it easier to keep the braid laying down calmly. Diggin the hair! The 2nd most important thing to me on a chick! !